FLIP connects regional college students and recent graduates with resource managers to gain experience working with or for a federal agency. Whether interns, also known as Flippers, participate in natural, recreation, or cultural resource management, a major goal of the program is to better prepare the next generation of agency personnel. Mountain Studies Institute, Southwest Conservation Corps, Bureau of Land Management–Southwest District, US Forest Service–San Juan National Forest, National Park Service–Eastern Four Corners Group, and San Juan College are members of a collaborative effort to develop public land leaders of tomorrow through the Four Corners Federal Lands Internship Program. This rigorous paid 11-week career-building internship program offers an outstanding opportunity to learn from professionals in the field, build skills, and gain networking contacts - all while living in a beautiful place. The program includes an orientation, a mid-term check-in, and a final presentation; building knowledge, skills, and camaraderie to facilitate a successful experience. The orientation will include wilderness first aid training and certification, back country skills and safety/decision making, and an introduction to federal careers and the application process. Learn more. FC-FLIP Range Technician Internship Work with technicians and professionals from the Columbine Ranger District on projects related to range management that center on range, weed, and general ecology of the Columbine. Bayfield,CO 5/27/19-8/9/19 Apply Now! FC-FLIP Visitor Information Specialist Internship Assist with the daily operations of the Dolores Ranger District's Recreation Program. Dolores, CO 5/27/19-8/9/19 Apply Now! 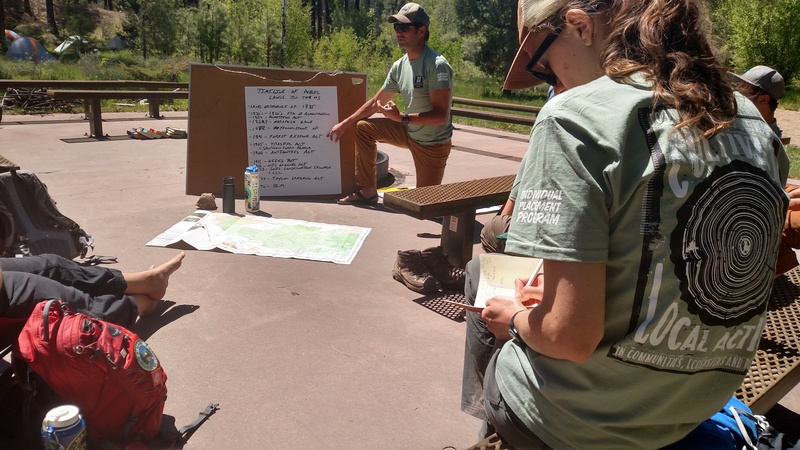 FC-FLIP Environmental Studies Internship Connect communities and create resilient landscapes with the San Juan National Forest by assisting with forest product marketing, researching at Chimney Rock, and conducting trail program research. Pagosa Springs, CO 5/27/19-8/9/19 Apply Now! FC-FLIP Reforestation Internship Assist a team of forestry technicians collecting survival and stocking information in several tree plantations, clearcuts, and burned areas. Bayfield, CO 5/27/19-8/9/19 Apply Now! FC-FLIP Environmental Science and Education Internship Work alongside Mountain Studies Institute to complete a variety of field-based monitoring projects and environmental education programming. Durango, CO 5/27/19-8/9/19 Apply Now! FC-FLIP Collaborative Forestry Internship Work with Mountain Studies Institute and the San Juan Headwaters Forest Health Partnership on collaborative forest management approaches in the San Juan Mountains. Pagosa Springs, CO 5/27/19-8/9/19 Apply Now! FC-FLIP Field Hydrology Internship Learn about Hydrologic survey techniques, water quality sampling, small-scale restoration work, agency-approved hydrologic monitoring techniques and basic Colorado water rights law all while working in the beautiful terrain of the San Juan National Forest. Durango, CO 5/27/19-8/9/19 Apply Now!